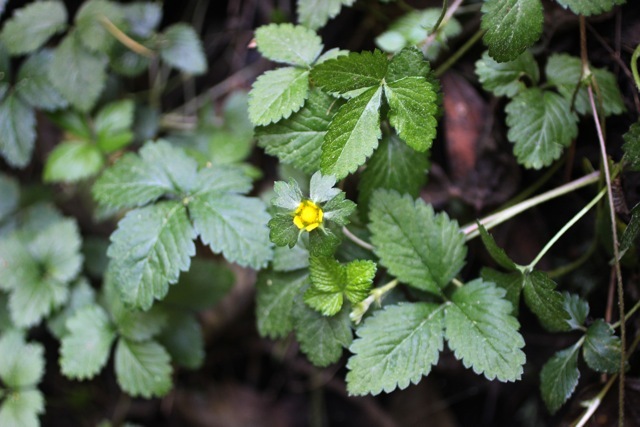 Small yellow flowers spring up from a patch of strawberry-like leaves. Each bloom has five rounded petals, widely spaced around a central mound of many stamens. This is mock strawberry, or Duchesnea indica. 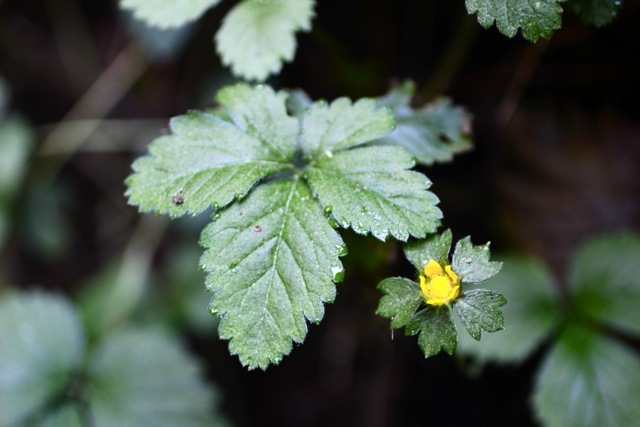 It is native to India, and is now found scattered occasionally throughout Marin and a few other parts of California where it has escaped from garden cultivation. The small red strawberry-like fruits are edible but not particularly delicious. The collected reviews are uninspiring, particularly when taken all together. Mock strawberry is, variously: “dry and insipid”, “certainly rather tasteless, but it is not dry”, “flavor somewhat like a water melon according to some people, but this is possibly the product of a strained imagination”, “the fruit contains about 3.4% sugar, 1.5% protein, 1.6% ash.” Ash?! Delicious. Let’s have a pie.